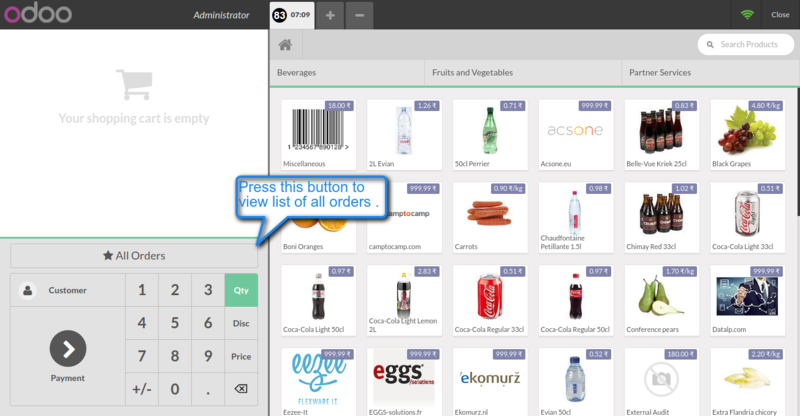 This module “Odoo POS All Orders List” allows a user to view the list of all orders that are created in the Point Of Sale. 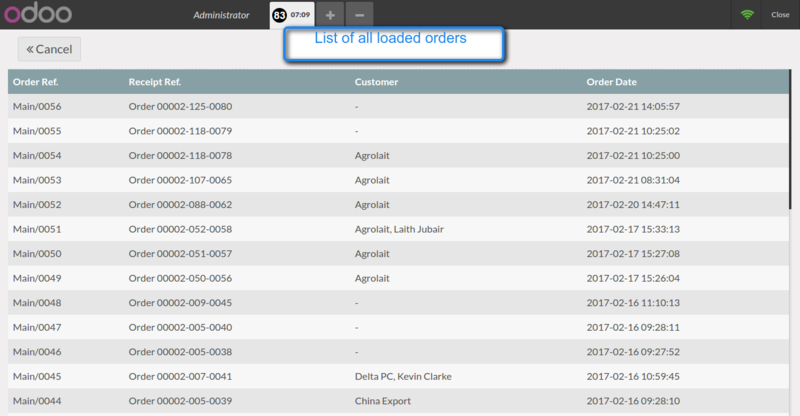 A user can view the list of all orders within a running POS Session. The order list includes – Order Reference, Receipt Reference, Customer name and Order Date and the user can search the order by entering customer’s name as well as by Order reference number. It also allows the user to view all orders associated with a particular customer. This module allows you to view the list of all the orders within a running Point Of Sale Session. A user can also search the orders based on ‘Customer’s name’ as well as ‘Order reference number’. A user can also view the list of orders associated with an individual customer. After buying this product you will get a zip file, which contains module. 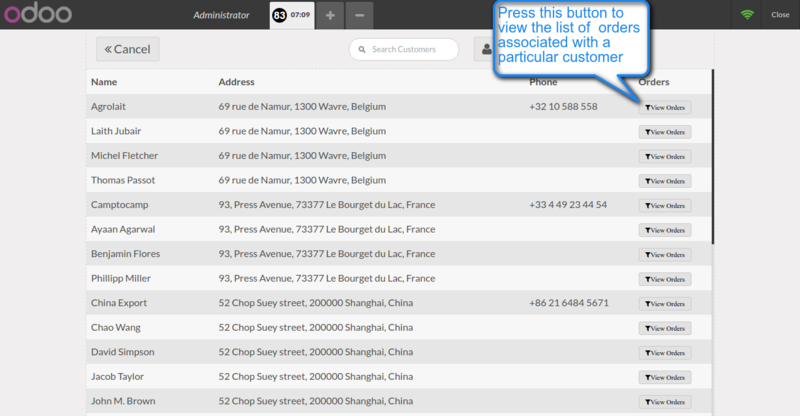 Unzip the file and now just copy ‘POS All Orders List’ module folders into your Odoo add-ons. Now enable developer mode on your Odoo. Go to settings menu and Click on Activate the developer mode. 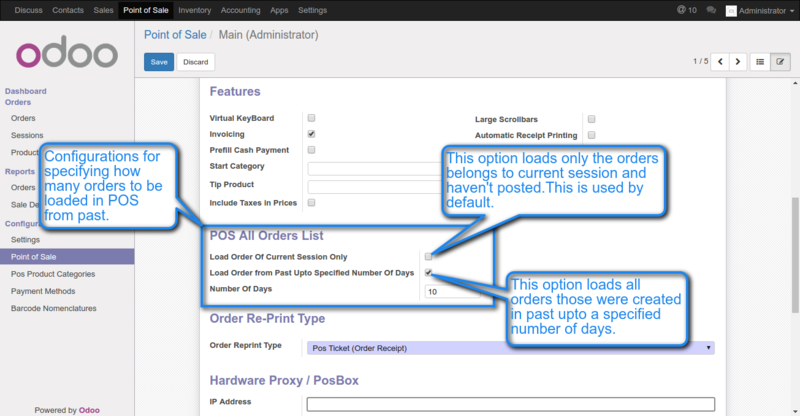 At Odoo Back end user needs to specify how many orders from the past would be loaded in Point of Sale when the POS Session starts. 1-Load Orders of Current Session Only- It loads the orders of current session only. 2-Load Orders from Past up to Specified Number of Days- It will load the orders which were created in past up to a specified number of days. In POS interface, click on “All Orders” to view the list of all orders of Point of Sale. Also under Customer list, you can view all the orders associated with a particular customer. Bought the plugin, alongwith POS Returns plugin (Order # 100051772 and 100051783 Dated: 1/26/2018) , just to know that none of them is working. Filed the support ticket (Ticket id #49712) and waiting hours to hear from support team. After Installing this plugin, all I see is a blank screen in POS. Nothing happens. Please update at earliest. we have replied you in ticket#49712 which is created by hasan. so please reply on that ticket asap then we’ll look and fix it. I replied back with login credentials. Please check and solve.